Not too long ago, we were in your shoes. The white dress was on and the tux was buttoned. All the planning, excitement, and anticipation leading up to this one day. We know exactly what it feels like to be in front of a camera and all the emotions that come with a wedding day. Because your love story is as important to us as our own. We strive to create images that bring back all the butterflies and happiness, so that one day you (and your grandchildren!) can look back and see where the wonderful journey that is marriage began. While our goal is to document your big day as it unfolds in all of its authentic joy and celebration, we also want to be there to support you ... as friends. While one of us is handing you tissues, the other will make sure your dress is fluffed and the boutonnieres are on right. We will be your biggest cheerleaders on your wedding day and in your marriage. We believe in getting to know our couples on a personal level, so we only take a limited number of weddings each year. It is so important that you feel comfortable with your photographers because they are the one vendor who is with you from beginning to end. We want to make sure you have the perfect photographer for you, because that is what you deserve. Check out the list below to see what our couples are like and if we would be a good fit for you! Plan on building a marriage more beautiful than the wedding. Laugh a lot and are willing to get a little silly - anywhere from a little bum squeezing to smashing cake in each other's faces. Will probably ugly cry at least once on their wedding day. Love all the little details but know the day is really about celebrating their love and commitment to each other. Value heirlooms and family traditions. Are willing to risk getting (a little) dirty in order to frolic in a pretty field for some epic pictures. Can't wait to sneak out of the reception for sunset photos and to have a quiet moment together. If you made it this far, you are definitely our type of couple! We would be honored to be part of your big day! Can't wait to hit the dance floor. Where do I even begin to express our gratitude for Nicole and Jon? They did a phenomenal job capturing our wedding day. When we received our photographs back it felt like we were truly reliving the day over again. They captured every detail and every moment so perfectly. 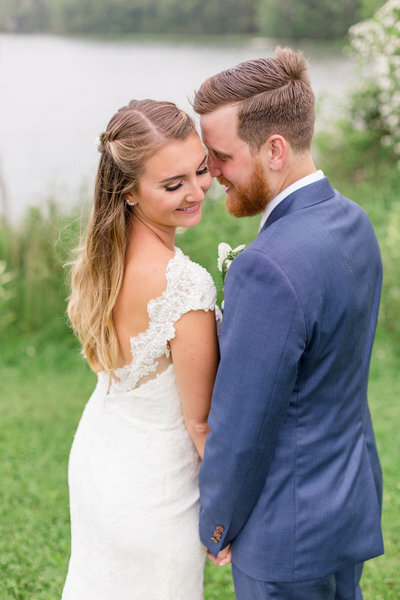 Deciding on a photographer can be hard, because you are entrusting someone to capture everlasting photographs from the most important day of your life. If you are looking for an amazing couple who will make you feel important, comfortable, and can caption the true essence of your love on that day then no need to look further. Nicole and Jon are your people!
" They caption the true essence of your love." 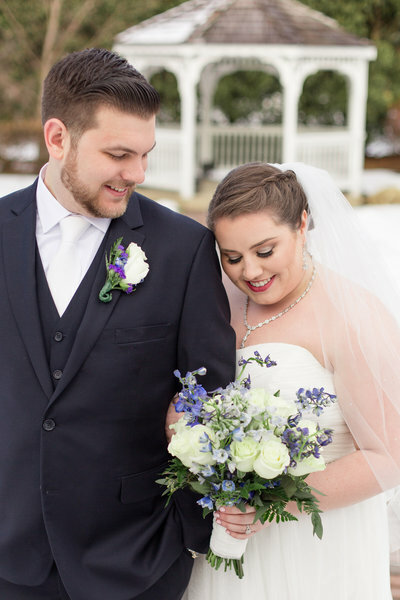 Nicole and Jon were the perfect choice for our wedding! Nicole has such a creative eye and shows such a genuine care and love for the people she's working with. She definitely does a great job making sure she gets to know you and your partner! Each picture she shoots is carefully executed, and I love the candid shots Jon is able to capture as well. My husband HATES having his picture taken but Nicole and Jon work so well together that they made the entire engagement session so carefree and fun - we LOVED how they captured photos that truly represented us.
" They made the entire session so carefree and fun." From the moment wedding planning started, to the engagement photos, to the special day, Nicole was there and was absolutely amazing. She was readily available to communicate with, made us feel 100% comfortable in front of the camera (which does not come naturally to us) and smiled right along with us. Her charisma and passion for capturing perfect moments made us feel like we were with friends, someone who truly cared, and not with just a photographer. Throw in her sense of humor, love for pets, and her equally amazing husband, and you have yourself the perfect wedding photographer.
" They made us feel like we were with friends." 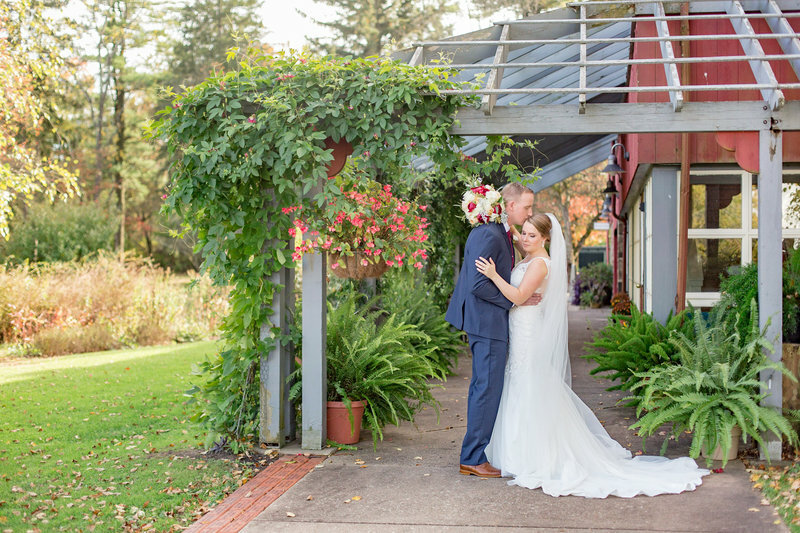 Nicole and Jon were the perfect choice to photograph our most important day! From the day we decided to use Nicole and Jon for our wedding, she was always available to answer any questions that came up along the way and was so helpful offering guidance on what we should do. Mike and I are not big on being the center of attention, but Nicole and Jon did such an amazing job putting us at ease and helping us to open up and relax in front of the camera. It is so easy to see how much Nicole loves doing what she does because she smiles right along with you. 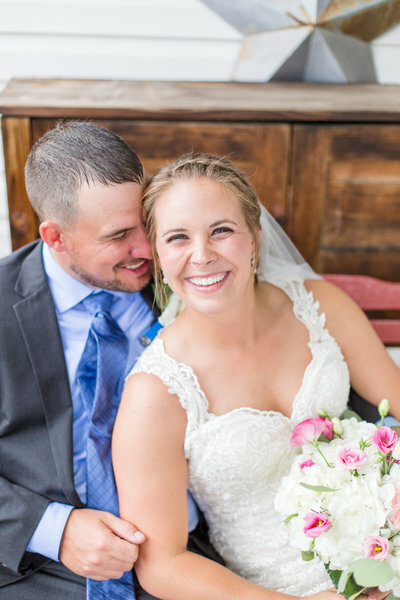 Nicole and Jon did an UNBELIEVABLE job capturing our wedding day and we are so grateful!
" They smile right along with you." We can't rave enough about Nicole and Jon! They do so much to put you at ease before and during your wedding day. We were able to take engagement photos with Nicole, which helped us get comfortable in front of the camera and she was so easygoing and fun! 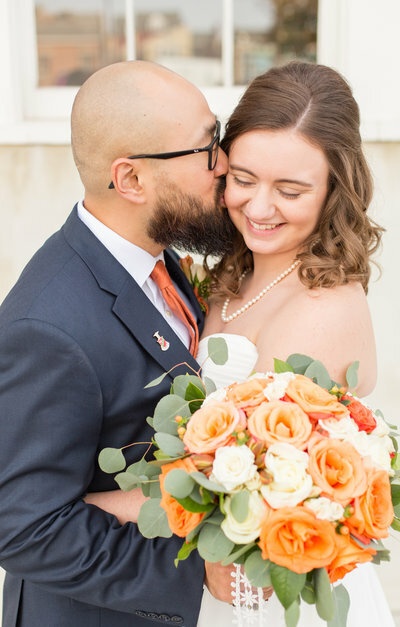 They also helped us create a timeline for our wedding, and even more importantly, helped us stick to it on the wedding day. They navigated and directed our huge bridal party and family like champs (I would compare it to herding cattle). We absolutely love our engagement and wedding photos and look at them often. We can't wait to continue sharing our favorite day with the people we love for many years to come!
" They are so easygoing and fun!" Includes an engagement session, two photographers, 8 hours of wedding day coverage, and an online gallery of edited images.